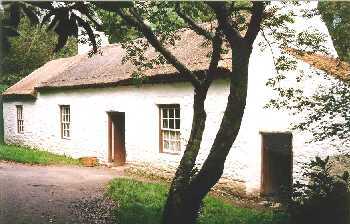 This cottage is a carefully built replica, in the Ulster American Folk Park near Omagh. At the start of the 19th century, Irish soldiers formed a considerable proportion of the British army, and by 1830, there were more Irish than English soldiers in the army. Irish regiments served in many parts of the world, and also had a role in maintaining law and order in Ireland. Ireland became one of the first parts of the United Kingdom to have a police force, when Sir Robert Peel set up the Peace Preservation Force (PPF) in 1814. The four provincial areas of the County Constabulary were merged to form the Irish Constabulary in 1836, and Queen Victoria honoured the police with the title "Royal Irish Constabulary" (RIC) in 1867, partly in recognition of their role in suppressing a rising by the Irish Republican Brotherhood (IRB). The Napoleonic wars caused a boom in the Irish economy and an increase in the value of exports. However, the end of the war in 1815 brought a corresponding slump in prices. A crisis in the woollen industry in England in 1825 led to goods being sold at ruinous prices, accelerating the decline of the woollen industry in Ireland. The cotton industry in Ulster failed to keep up with trends towards steam weaving, and by 1838, only 6 cotton mills were left in Belfast. However, wet-spinning of flax had been introduced in Belfast and mass produced linen was able to compete successfully in the textile market. By 1842, the railway line from Belfast had been extended to Portadown, and the Victoria channel had been cut to make the port much more suitable for large ships. Competition from the cotton industry pushed down the wages of weavers in rural areas. In the 1841 census, over half of the families in Ulster fell into the poorest category, which included agricultural labourers, impoverished weavers and holders of farms of less than five acres. The failure of the potato crop in 1845 and 1846 brought tragedy to families already living on the edge of subsistence, in spite of the efforts of local relief committees, the government and charities. In 1847, diseases such as typhus and relapsing fever claimed more victims. It is estimated that over 200,000 people (about 9% of the population) died in Ulster as a result of the potato famine, and about the same number emigrated. This century saw the rise of modern Irish nationalism, with the Catholic Association, led by Daniel O'Connell, campaigning first for the removal of the remaining Penal Laws (1829) and then in the 1840s for repeal of the Union with Great Britain. O'Connell had a horror of violence; a horror which was not shared by groups such as the IRB in Ireland and the Fenian Brotherhood in America. In the last two decades of the century, Charles Stewart Parnell and the other Irish nationalist MPs made an alliance with Gladstone, leader of the Liberal party. This resulted in two Home Rule Bills being introduced at Westminster in 1886 and in 1893. "No man has the right to set a boundary to the onward march of a nation. 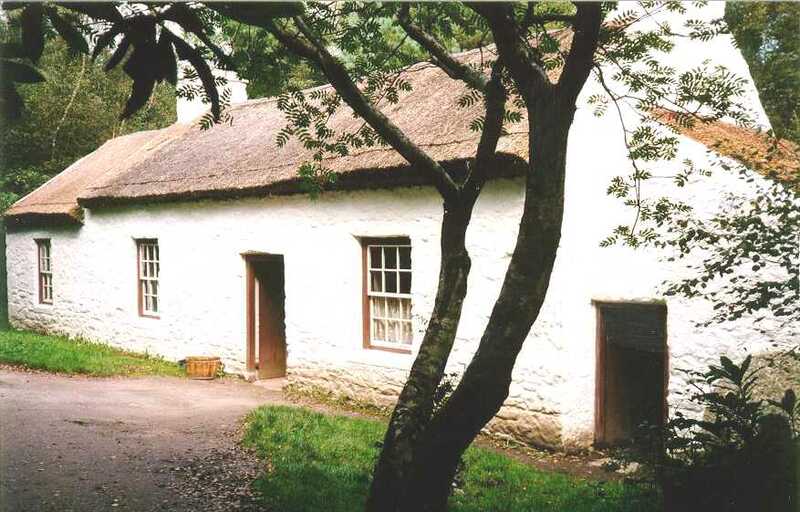 No man has the right to say: 'Thus far shalt thou go, and no further'"
In 1850, the Irish Tenant League was set up to call for a custom called "Ulster tenant-right" to be given the force of law. Many Protestant and Catholic tenant farmers joined the League campaigning for fair rents, free sale (actually a payment made by the new tenant to the previous tenant) and fixity of tenure. A number of Land Acts were passed at Westminster from 1870 onwards, culminating in the Wyndham Act of 1903. Landlords were encouraged (with a bonus) to sell entire estates when three-quarters of the tenants agreed. The Wyndham Act in particular brought about a revolution in land ownership, with millions of pounds being advanced by the government and paid back by tenants as land annuities over a period of 68½ years. Even at the start of the century, there was little evidence of the radical Presbyterian politics that had been displayed during the 1798 rebellion. The Orange Order led the Protestant opposition to Home Rule, and the Grand Lodge encouraged Ulster Unionists to form the Anti-Repeal Union at Belfast in January 1886. At Westminster, Lord Randolph Churchill decided that Home Rule was the issue to topple Gladstone, and put his support behind the Anti-Repeal cause. As a result, the 1886 Bill was defeated by 30 votes in the House of Commons. Gladstone resigned and then lost the subsequent General election. A second Home Rule Bill in 1893 was defeated in the House of Lords, but the issue of the Union has dominated Ulster politics ever since. "If political parties and political leaders ... hand over ... the lives and liberties of the loyalists of Ireland to their hereditary and most bitter foes, make no doubt on this point; ... Ulster will fight, and Ulster will be right"